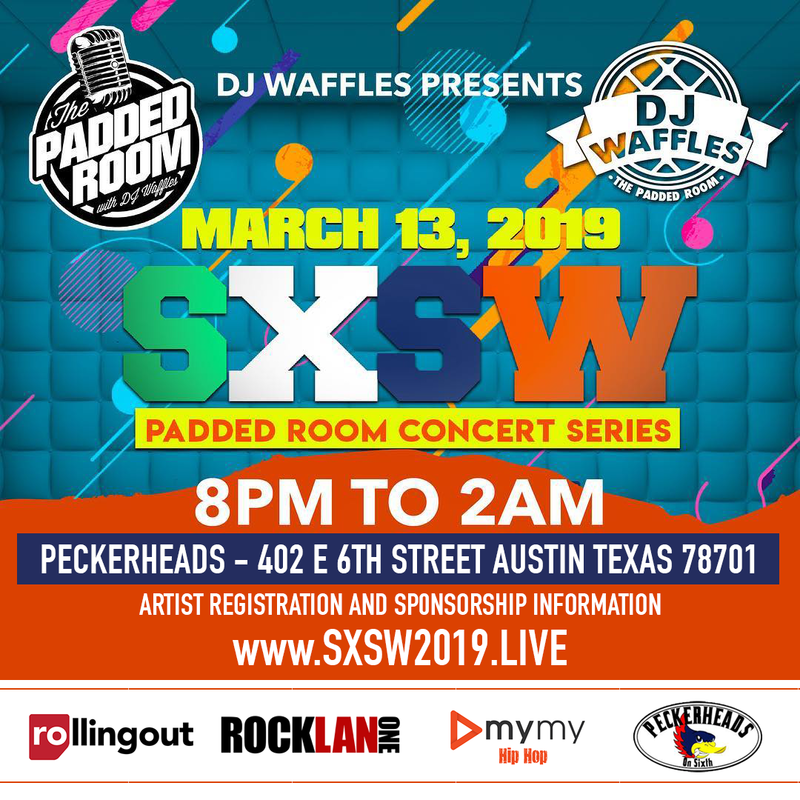 To all SXSW patrons, DJ Waffles is bringing the Official Padded Room to Austin, TX March 13, 2019. Be amongst the hottest artists that have graced highly- regarded DJ Waffles' Sweet 16 Playlist to perform. This event is powered by My My App, Rolling Out Magazine and RockLan One.